We’re nearing the end of our trip! 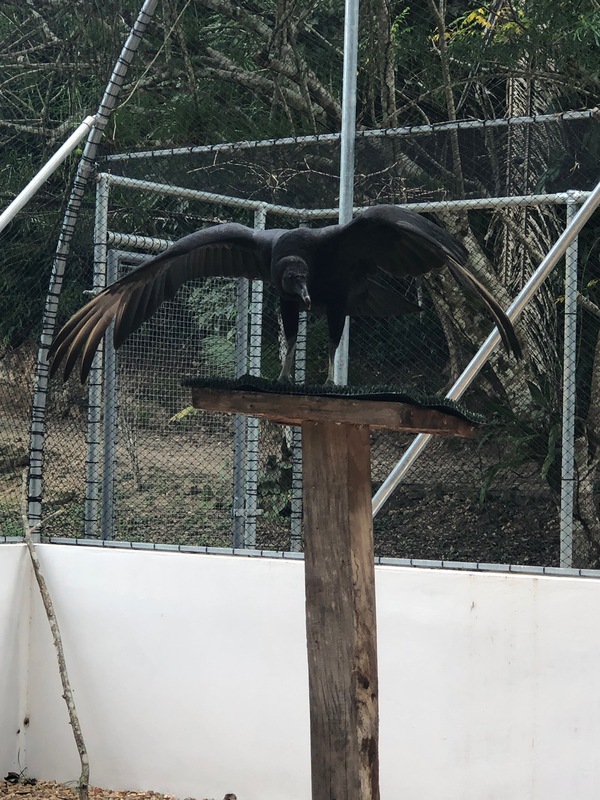 We visited the Belize Raptor Center in San Ignacio the day after New Years. Raptors include hawks, eagles, vultures, and owls. I definitely have a newfound appreciation for vultures, the ecosystem’s “clean up” bird. 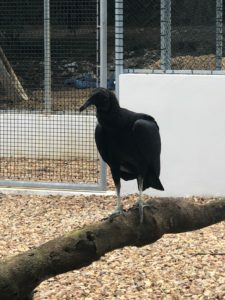 Did you know that vultures can eat animal carcasses carrying diseases such as botulism, anthrax or swine fever and never become affected by those diseases? It’s thought to believe that they can survive these infectious diseases because of their unique gut microbiome as well as the harsh, acidic nature of their digestive tracts. Vultures essentially play a role in curbing the spread of infectious diseases that would have otherwise spread to another individual. 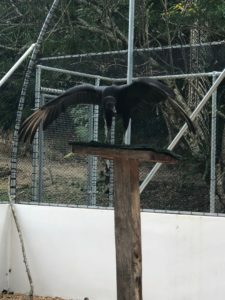 Cora, the beautiful black vulture! 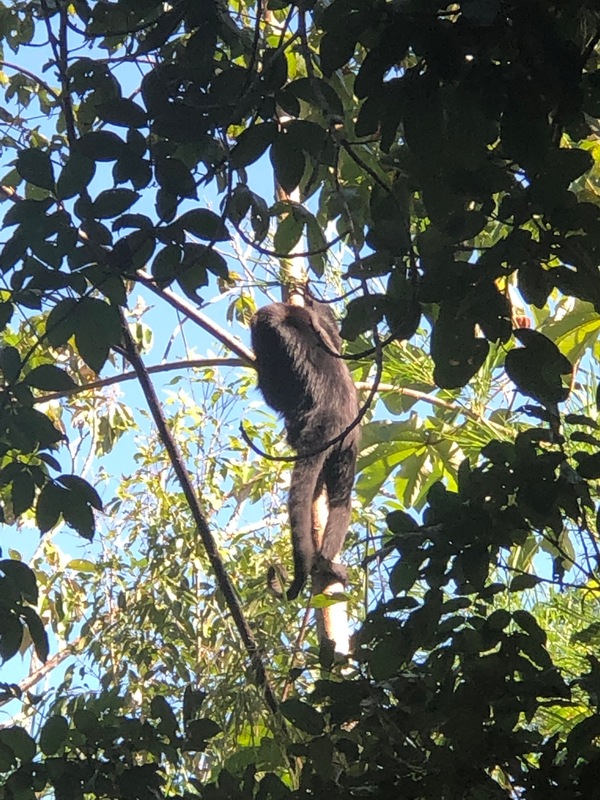 We also visited the Community Baboon Sanctuary (CBS) to observe Howler Monkey. The local name of Howler Monkeys in Belize is “baboon”, even though the Howler Monkeys are not technically baboons. What’s awesome about CBS is how involved in the community they are. 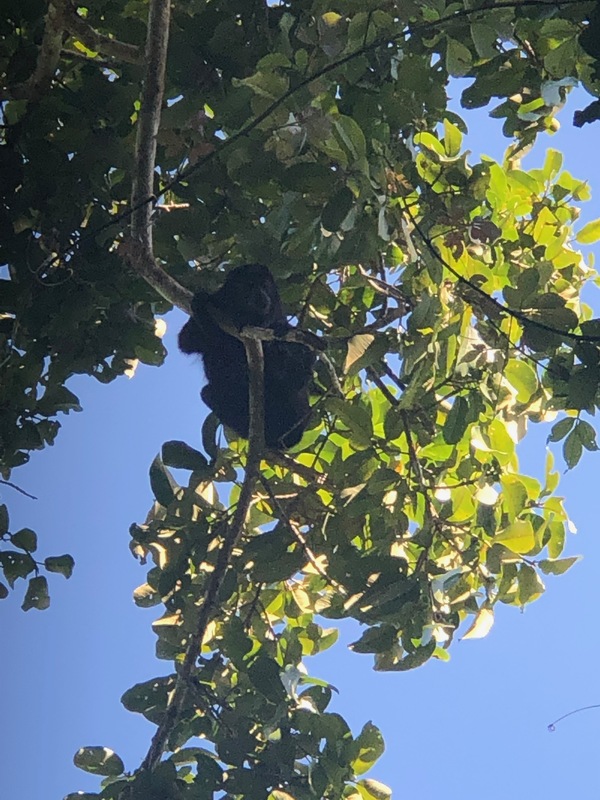 The sanctuary is comprised of 7 different nearby towns that have agreed to not disturb the food source of the Howler Monkey, to put developments at least 6 feet away from sources of water. It was also especially amazing to hear the role women played in maintenance and the prosperity of this sanctuary. In 1998, the Women’s Conservation Group (WCG) became the new management team for CBS and for each of the 7 villages in agreement, a woman representative was elected. Out of all the establishments that we’ve seen, CBS takes “engagement with the community” to a whole other level. From the few hours our group had been there, the sense of community and comradery was palpable. CBS establishment was founded with the help of the Belizean people and has continued to grow and act as a pillar of conservation in Belmopan. In addition to that, it gives back to the community by providing sources of employment and serving as an education tool. 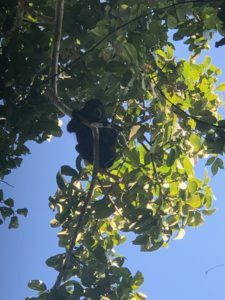 Visiting CBS and observing the Howler Monkeys was definitely one of my favorite parts of this Study Abroad Trip. The Monkeys were so interesting to watch and it was incredibly exciting seeing them in their natural environment. Tapirs and Jaguars and Vultures, Oh My!